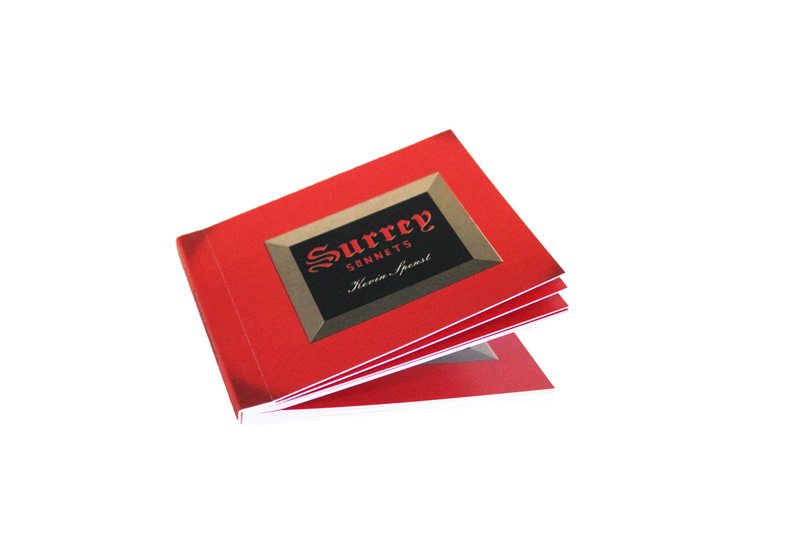 Surrey Sonnets by Kevin Spenst and Naomi MacDougall is a collection of poems examining the city and family in which Spenst grew up – all printed on perforated drink coasters with the typefaces you would expect in a quaint small-town pub, bound in a discreet red volume. “‘Every decision is a wishbone,’ writes Adam Dickinson. 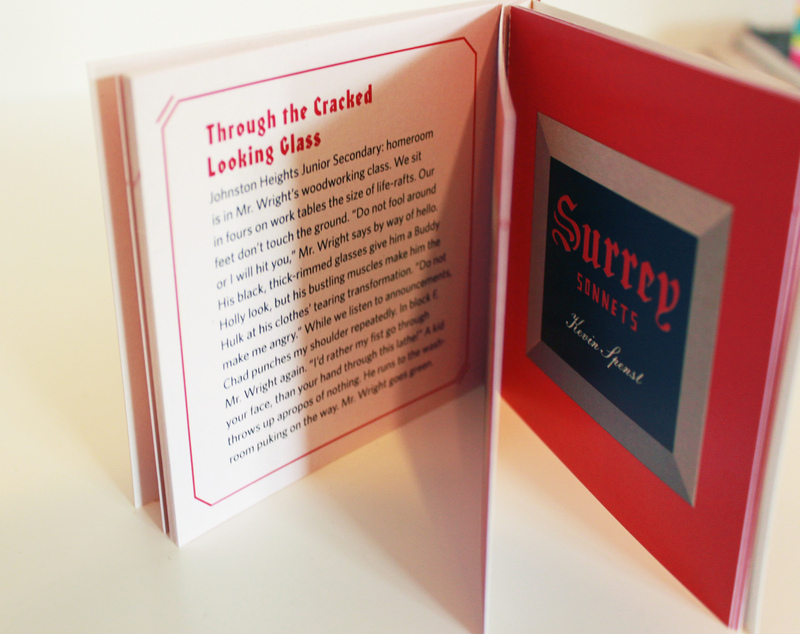 In your hands you have a choice: tear some coasters from this chapbook and wish for a beer or keep it intact and wish for wine. Above all, imbibe what you love,” Spenst invites his readers. Measures approximately 4 X 4.5″. 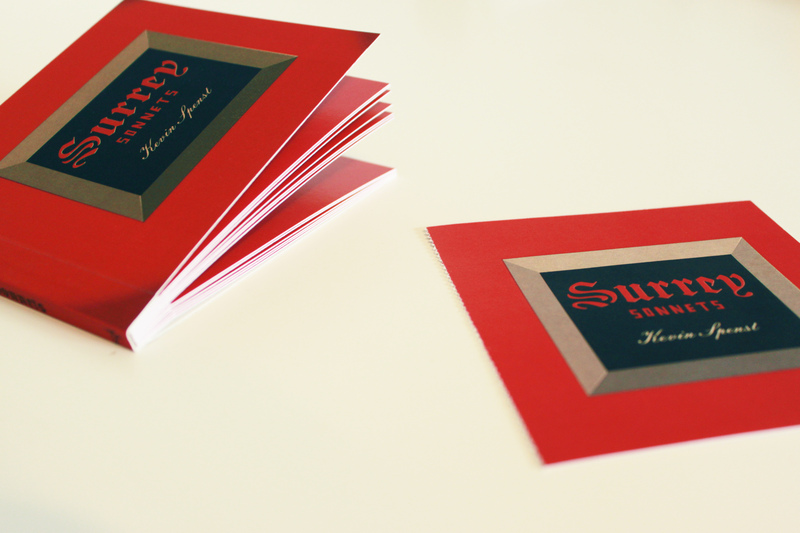 Printed in a limited edition of 200.